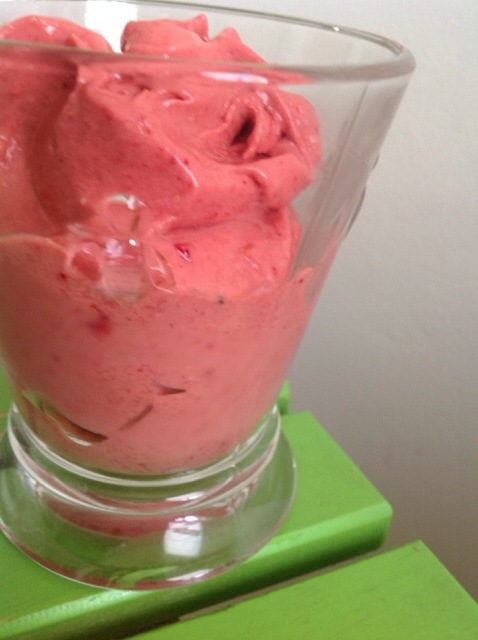 When I was making this sorbet, the hardest part was not eating it before taking some photos. It’s made with just four ingredients. Mango, banana, raspberries and hemp seeds. 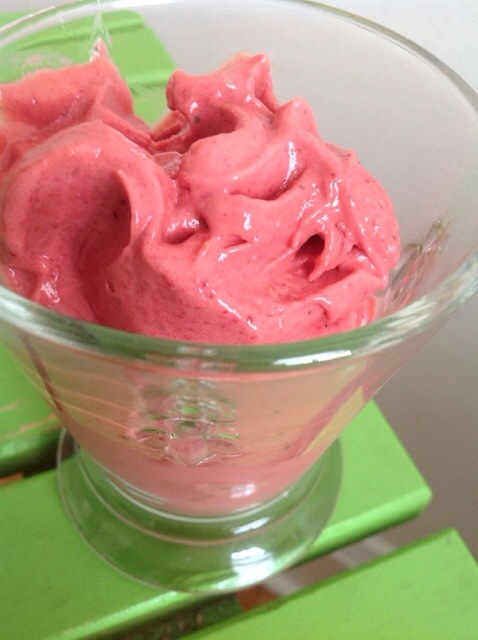 This sorbet would make a great Summer treat but is also great when the weather is cold and you’re dreaming of those warm Spring or Summer days. Hint, hint – Spring are you out there, it’s almost May! Add all ingredients to your Vitamix or blender and blend until everything is well combined. I added all my ingredients to my Vitamix and used the tamper to push everything down. I blended on medium speed for about a minute so that it would remain frozen. O…M….G!!!! Does that ever sound and look amazing! I must try it. Thanks so much for yet another fantastic NutriSue creation. Thanks S&S! It’s a great warm weather treat. Hope it’s warm where you are!